In today’s time, celebrity endorsements come across as a common medium used by brands. And yes, they happen to be a great marketing tool. These celebrities who are often followed by millions of mass users, help in spreading the brand message right across and have truly become the need of the hour. More and more brands use the influencing power of these celebrities to convey about their product or services. Sometimes, celebrities themselves use the influential power of other celebrities to help them promote their brand. For examples, actors promoting the films of other actors are a common scenario nowadays. In a recent event, when Shweta Bachchan launched her apparel brand MXS Fashions, a lot of celebrities were seen posting in her support and endorsing her brand. Despite this being a great marketing gimmick and the latest trend, some brands have managed to always keep themselves away from the celebrity endorsement factor. For example, Apple is such a big brand has always used the power of its phone and features to promote itself. 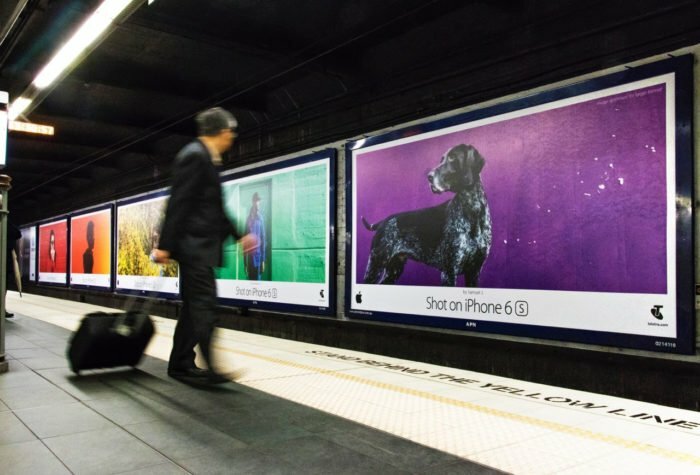 Their ‘ShotoniPhone’ promotions have adorned the OOH world like anything and we all got used only seeing beautiful pictures and subtle branding by iPhone. The features spoke for themselves and this premium way of marketing brought iPhone in one of the topmost premium categories of a phone in India. Its never been a very celebrity friendly brand in terms of promotion. Though it’s a different thing that most celebrities end up flaunting iPhones in public appearances and even in their mirror selfies and other pictures on their Instagram account, that is because they genuinely use an iPhone. Two years ago, there was a vague rumor that Apple seeks to sign in Shahrukh Khan as their brand ambassador in India, but nothing materialized as such. Since then Apple has launched various phones and no celebrity was seen endorsing it. But in a recent surprise series of events, Apple first time used the influential power of a celebrity in India. It has only done this a couple of times before with international stars, but Indian celebrities were never a part of Apple’s endorsement plans. 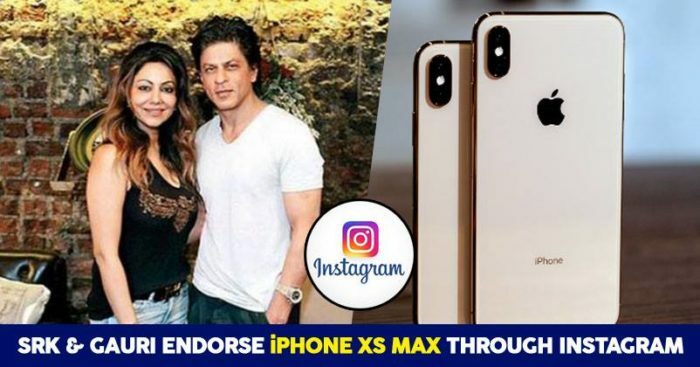 The Badshah of Bollywood, who has been using Instagram quite actively for some time, did a subtle endorsement of Apple’s new XS Max phone. It can easily be said an endorsement, because of two predominant reasons, first Shahrukh thanked Apple, for the phone and tagged Apple’s Insta, secondly, he used a specific hashtag and also spoke about one particular feature of the phone. 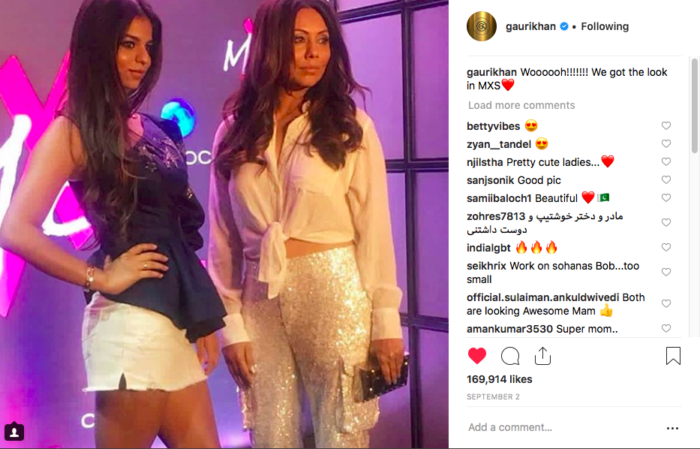 This might have passed as a regular post, if within a few minutes of Shahrukh’s post, Gauri Khan, his wife would have not posted a similar kind of Instagram post. 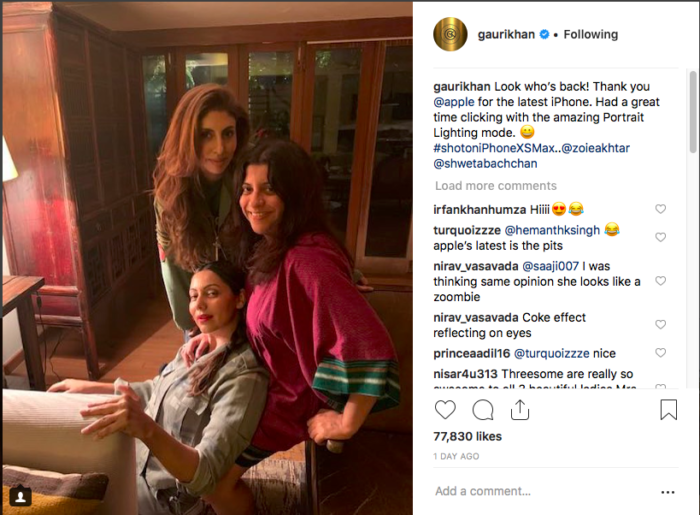 While Shahrukh had out two of his pictures, Gauri has seen sharing the space with Shweta Bachchan and Zoya Akhtar in the picture, but she too thanked Apple by tagging it and also highlighted the similar feature as Shahrukh did. So are Shahrukh and Gauri finally the new brand ambassadors of Apple in India, or has Apple realized the influencer power of celebrities and gone ahead with one of the leading stars of the country along with his wife, to testify the same. Whatever may be the reason, the fans of both Apple and Shahrukh-Gauri got a reason to rejoice.